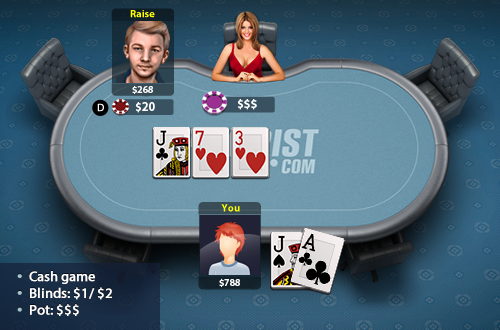 You’re playing a $1/$2 online heads up cash game with $800. Your opponent raised to $12 on the button with only $300 behind and you just called with AJ off suit. The flop is J73 two hearts; you check and they bet $20.